Kylotonn has been trying to get the World Rally Championship series back on track ever since some would argue that Milestone gave it engine trouble. The studio hasn't, however, been close to bringing it back to its former glory the last two years, and this year's edition hasn't changed our opinion either. Those of us who love rally games have been very spoiled the last few years, this purple patch coming after having gone through a period with very few games in our beloved genre. Having the option to play Sebastien Loeb Rally Evo, WRC, Dirt Rally and Dirt 4 means we've got a nice selection of entertaining racers to choose from if and when we long to thrash down narrow roads at incredible speeds. Unfortunately, Kylotonn's games haven't been up to snuff compared to the competition. Still, WRC 6 improved upon quite a few things from WRC 5, and we hoped they'd been watching what other studios were doing when they developed WRC 7. The very first thing you're tasked with when starting the game is choosing whether this is your first time playing a rally game, or if you're an experienced woodsman. We've played hundreds of hours of racing games throughout the years, and chose the latter. That choice sent us straight into Hayden Paddon's Hyundai, and we were pretty much left to our own devices. Fair enough: this wasn't our first rodeo. It did, however, make us curious about what the other option would offer, so we restarted and told the game that we're a first-time driver. We're now back in the Hyundai, although with no obvious changes. That is until we hit the first turn; our breaks are suddenly much better, but that's about it. Going into the settings reveals that the only things that have changed are not having to use the handbrake at the start and ABS brakes. We restarted again, returning to our first choice. This time we started off at the lowest class, so we spent our first few minutes speeding around the Junior WRC in an R2 car. Being the rally fanatics that we are, we know that the R2 is front-wheel drive, which leaves us wondering if it'll feel any different compared to the more powerful cars with four-wheel drive. The game doesn't tell us anything about this, it just sends us into the first race. Spending a lot of time in the junior league doesn't exactly sound tempting, so we choose medium difficulty. It would seem that this turned our co-driver's skills to medium as well, as kept giving us the wrong instructions! Could this actually be true, or did we hear wrong? Watching the replay reveals that it indeed was our co-driver who screwed up. Not a great start, and with the rest of career being pretty much identical to that in WRC 6, we won't take up more of your time telling you about this aspect of the game. One of, if not the most important part of a racing game is how the cars feel and handle. WRC 7 does an okay job of making its cars react to different bumps and turns on the track, but it still feels very flat compared to many other games. The graphics are a bit crisper and show most of the minor details on the track, but it still doesn't quite feel right in terms of controls. Everything just feels kind of boring and therefore the experience isn't as immersive. Add to this a co-driver who gives you the wrong instructions and who gets overly excited by the smallest feat, and you have yourself a below par experience. Fear not, WRC 7 doesn't get everything wrong. Kylotoon has also done a few things extremely well. The most noteworthy aspect we'd say is the sound design; our cars and their surroundings sound beautiful and we thought it was very realistic. Hearing the breaks whine like a small Chihuahua when pushing them to the limit always feels great. The quality of the overall production is also worth mentioning because the standard is high. The game is filled with real drivers and tracks from both the WRC, WRC2 and JWRC classes. 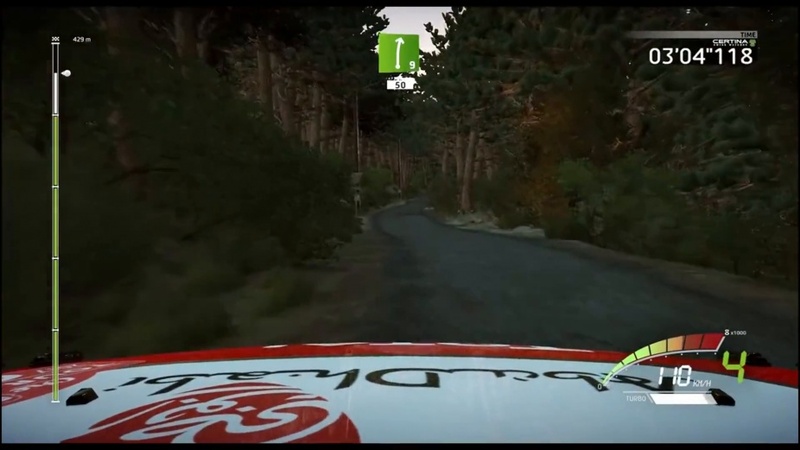 Some of you might think this is obvious because of the World Rally Championship license, but don't forget that WRC 5 took a few shortcuts in this area. There's also an online mode to enjoy if you prefer racing against real-life opponents. It's entertaining enough but lacks online rankings and you don't get to race against drivers of a similar skill level with enough frequency. We can't choose whether or not you want to race against players that are assisted by ABS brakes either, so you never know what you're going to get. This makes us worry that it won't be easy to find opponents to race, and most will move on the other racing games. Fortunately, that won't be a problem if you've got friends who like to visit your house, as the game can be played split-screen as well. You also have the option to race the same track with the same car eight times in a row in Hot Seat mode if the entire gang assembles for a rally night. This way, you can see the different times at the end, with the winner getting bragging rights. WRC 7 is basically just WRC 6 with a few improvements on the audio front. The graphics are a bit better when it comes to the cars themselves, but it looks like the environments have actually taken a step back compared to last year's game. Driving into a bush will pulverise it and the trees almost like look two-dimensional in certain cases. Just having great sound design and the official license isn't enough anymore, especially when the best games in the genre are better than WRC 7 in most areas. Having a co-driver that doesn't know how to do his job, with little to no help for new players, and lacklustre physics and controls all combine to cement our opinion this as a game that should race straight past you. There are far better alternatives out there. Co-driver gives the wrong instructions, Lacklustre visuals, Inaccessible for new players. WRC 7 has been treated unfairly in the gaming press, if you ask me. Grades have been mediocre and loads of magazines and gaming sites have been listing issues that I would say are non-existant. WRC 7 is a great, great rally game and I'm quite convinced that the game had clearly got higher scores and more positive reviews if it had only had the "Codemasters" logo on the box instead of the one for Kylotonn Games. From my point of view - I cannot for my life remember a game in recent years that is more misunderstood than this... And because of that, I feel really sad for the team behind it. WRC 5 and WRC 6 were both good games. Far from great, but pretty darn good. The problems with the speed of motion, the graphics, the pace notes and the irregularly drawn corners (you could cut in 90% of all the narrower corners without Nicky Grist saying something about this in his pace notes) meant that the titles never really deserved higher grades, but with the year's edition the developers at Kylotonn have addressed almost every single little issue from previous years and the result is a game that entertains, challenges and mesmerises on a regular basis. Let me start by discussing the car physics and the driving feel that WRC 7 offers. Already in WRC 5, Kylotonn was on track with a good torque and peak-power balance, a good sense of how the centre of gravity shifted in the car during acceleration, as well as de-acceleration and a sensible view of how to simulate turbulence and friction. That game, however, had its problems. WRC 7 has superb physics, where the cars feel heavy (but not too heavy), fast (but not arcade game fast), and powerful enough to perfectly simulate the 2017 season WRC cars that have gotten more power and more torque than what's been the case over the past 15 years of rallying. 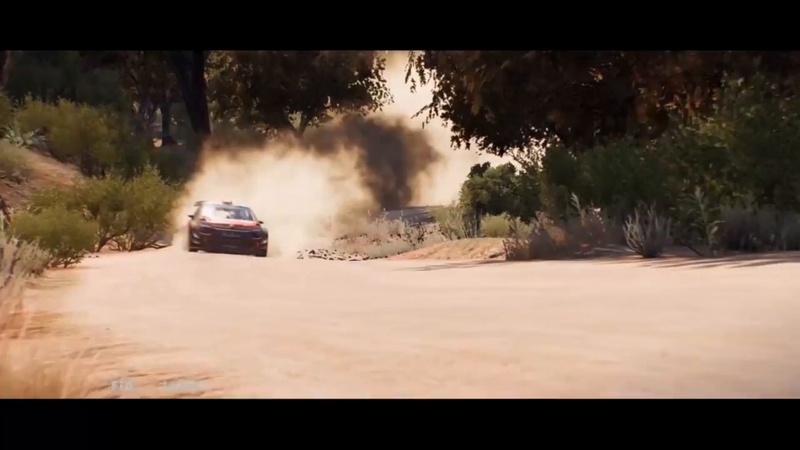 The fact is that WRC 7 does a way, way better job with simulating a 2017 rally car than what Dirt 4 does, and the nonsense we have been reading from other reviewers about the cars feeling like they are "floating" and being "too fast" sound like the opinions of people who have never driven a proper rally car. For me to get behind the wheel of Sebastien Ogier's dark blue Volkswagen Motorsport Polo R, choose the cockpit view (which this year does not cause the camera to be positioned slightly higher than real life view, and that by addressing this is way more usable) and with the help of my Fanatec CSL Elite steering wheel + pedals, throw myself and my car around the superfast stages of the Finnish rally, is a pure joy. The GTR 2 producer Diego Sartori has done a great job of simulating the feeling of driving the real rally car. The width of the stages together with the pacing, the pace notes, the sense of speed, and the dynamics of the main physics must be applauded. There is no luck involved here and there is nothing weird about the fact that several of the worlds best rally drivers all love this title for its accurate simulation (with all the aids and assists turned off, of course). There is a nerve here, in every aspect of the racing, that was also found in the Dirt Rally. 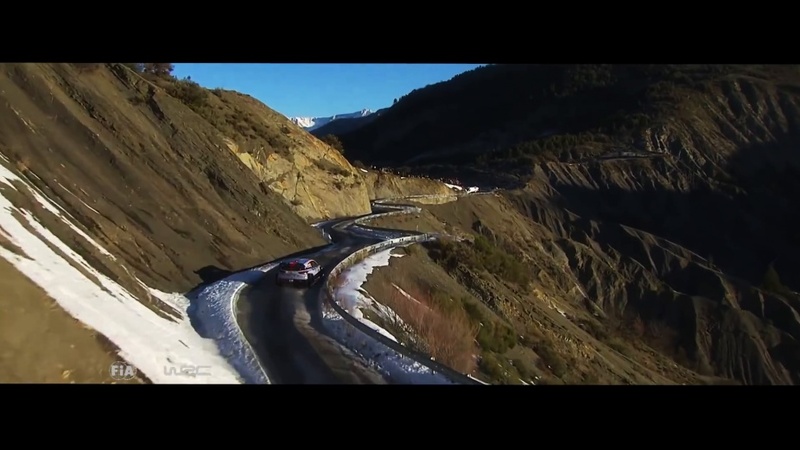 The forests around Whales are dense, the tree trunks near the road look nasty and when I slip the hairpin curve around Myherin in Kris Meeke's Citroen DS3 WRC, I think that I might have forgotten to blink for the last three minutes. However, it is required that you play WRC 7 with a really good steering wheel. Playing a racing simulator with your thumbs (and index fingers) is something I equate to trying to win a snooker game with a piece of string. Here I especially recommend the CSL gadgets from Fanatec which, for their part, worked wonderfully well. Another aspect of this game that is completely brilliant is the sound. The cars are banging, roaring, smashing gravel to the undercarriage, and the transmission noise is incredibly realistic. These are also accompanied by the extremely easy-to-know whistle from the car's wastegates when they control the charge pressure in turbo on my frustrating Polo R, while the dump valve pours and blows when it takes care of the harmful charge pressure every time I release the accelerator pedal. In addition, the soundscape is sensational in a full surround sound system, and with fast, tight bass, there is no doubt that WRC 7 has one of the most vivid soundtracks in the entire racing genre right now. Graphically, WRC 7 is a big improvement over previous versions, although it's definitely not as good as Dirt 4. Just like in the Assetto Corsa, Raceroom, iRacing, Dirt Rally, or Rfactor 2 simulations, real racing rarely deals with extraordinary gorgeous light and particle effects, but rather they offer a clean and tidy visual style. This also applies to the presentation itself that is smooth, easy to understand, and functional without being excessively handsome. The menus are pale, typographically boring, and the images that show up during loading are boring. But it doesn't matter, because here it's all about the feeling of sitting behind the wheel and, as I've said, it is phenomenal. I hope that the developers will add support for ultra-wide screens, for HDR, and for three-screen-set ups. I also want to control the FOV myself, which I think that Kylotonn is working on as we speak. In the end, WRC 7 is a great rally game for those who only want to drive real rally on superbly designed stages in this year's edition of WRC's cars. The loading times are short, the graphics are good, and the sound resembles a thundering war of gravel and steel. Not quite as brilliant as Dirt Rally, but still the very best official WRC game ever created. Buy it, and look me up online; I am the old man who never gets out of his Polo R.
vahnn Edited on the 9th of October 2017 at 18:10. I've played almost 100 hours and have never been given a wrong instruction by the codriver. There's a single turn in one country (that shows up in two or three stages) where I get the call late almost every time, depending on my speed, but I play with direction, hairpin, and hazard calls all on Detailed setting, and codriver set to make calls later than normal. If it were set to normal or I switched the calls to the less detailed versions it would be fine. Giving your readers false information is bad. And are we playing the same game? While the audio is a definite step up from 6, it's still the weakest aspect of the game. And the graphics are a huge improvement, featuring some of the most detailed, beautiful locations to ever appear in a rally game! Daniel Andersen Edited on the 10th of October 2017 at 12:37. We had the settings for detailed and also normal timing, and as the review says the co-driver sent us the direct opposite way two times during our trial. Regarding graphics I will admit that we might have been a bit harsh at first, but it does not look as great as you describe here. Both DiRT Rally and DiRT 4 have better detailed locations than WRC 7, although I will, as I said, admit that it is better than we first led on to.